When I tried to find out more about this bourbon, it turns out it is more a brand than a specific new distillery entering the fray. The folks over at Ascendant are quiet about the origins and details on their website. While the company is based in California, according to Distiller.com, the bourbon has a mash bill of corn, rye and malted barley which is sourced from Indiana where it is distilled and aged for a minimum of five years, then blended and bottled in California. Finish – Hmm… there but… what exactly? This was a strange one. There was no discernible influence from the Port finish – none of the stewed fruits or dark berries or even grapes of any kind. We simply weren’t sure about it so we set it aside. And when we returned? No… just no… seriously no. 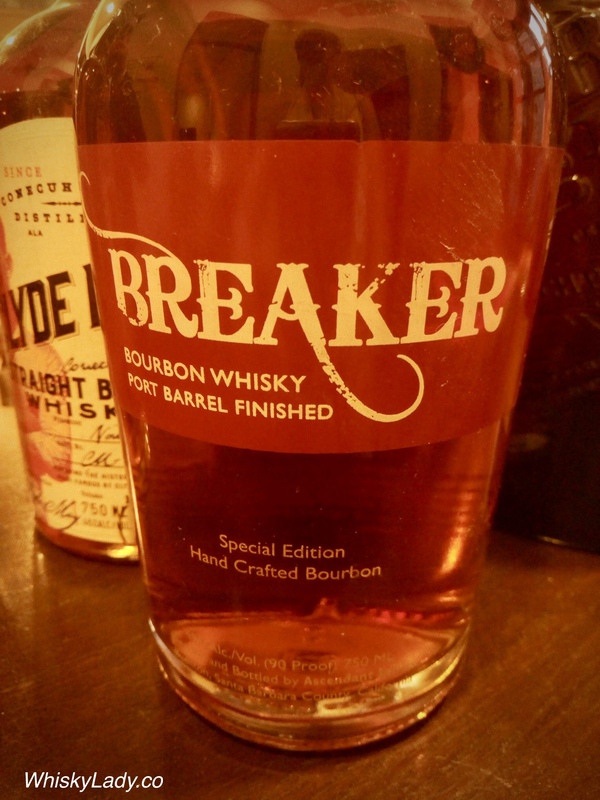 This special edition Breaker Bourbon starts with fully matured bourbon and is finished in port wine barrels. It boasts a distinct hue and complex flavors of vanilla, cereal grains, oak, spice, and rich stewed fruit leading to a dry finish. Citrus and spice linger on the palate with baked apple notes beneath. We certainly didn’t find much in common with the tasting notes. Pity. 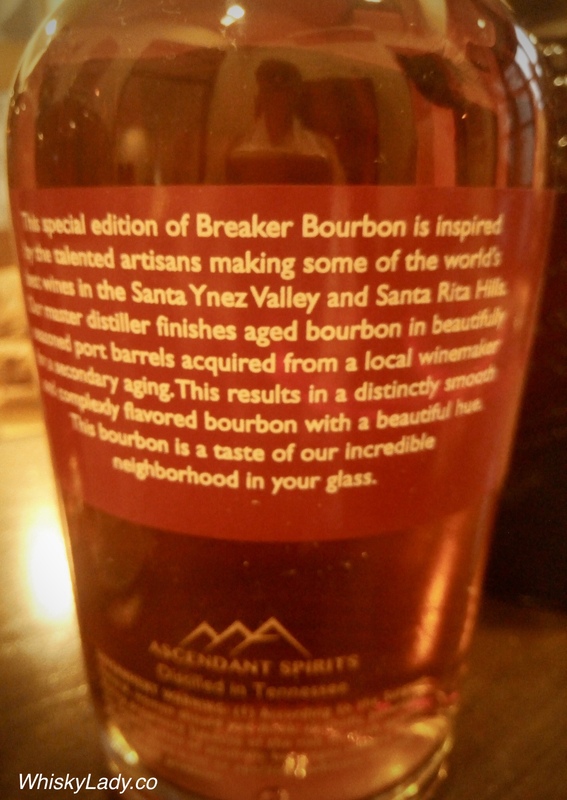 This entry was posted in American, Beyond Scotland, Bourbon, Whisky General, Wine Cask and tagged Breaker, Breaker Bourbon, Port Finish by Carissa Hickling. Bookmark the permalink.